Planning to succeed in every stage of your financial life. In theory personal finance shouldn’t be gender-specific, but in fact women tend to face some unique challenges when it comes to managing their money and maintaining a financially stable household. With that in mind, resources that focus on women and these unique financial challenges they face can be helpful when you’re trying to creating effective plans for your own life. The resources in this section are designed to help women understand how to get ahead in an often-biased world. This information can help you overcome things like income challenges and avoid common pitfalls like a lack of savings before you decide to have kids. If you’re currently struggling with debt and you need help to take control of your finance, call Consolidated Credit today at 1-888-294-3130 to speak confidentially with a certified credit counselor at no charge. Women are the primary breadwinners in 4 out of 10 households. Roughly 60% of couples with children under age 18 both work. It costs $250,000 to raise a child to the age of 18 – and that doesn’t even include college tuition! The first stage for most women after they leave their parents’ home is to head to college. 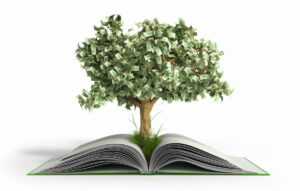 During the years in school, students tend to control at least some of their own financial destinies. As you move through school, you generally become more and more financially independent until you graduate and truly strike out on your own. Build an effective budget for school. Use the tips you can find in Consolidated Credit’s Budgeting 101 section to custom tailor a budget that helps you manage your money effectively as you work to get your degree. Don’t run out to get credit at 21. The Credit CARD Act prohibits creditors from sending offers to you until you’re 21. After that, they may start to flood your mailbox. But just because you’re eligible to get a card, it doesn’t mean you need one. Avoid high-interest store cards. Young women are prime targets for up-selling in-store credit cards when you’re out shopping at your favorite stores. 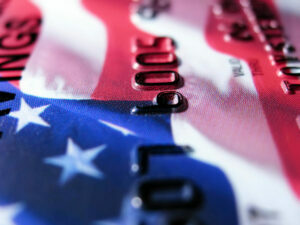 Store credit cards tend to have much higher interest rates and strict usage terms. Don’t sign up for the card, unless you know it’s giving you more than a high risk of debt. Stay on top of your bills. Late payments and collection accounts can ruin your credit. Make sure you pay your bills on time to avoid credit damage. Even if it’s a service bill for something like utilities, pay it on time! New alternative credit score models are being considered that would use things like utility payments to prove you’re a responsible borrower. So on-time payments may help you down the road, too. Don’t go overboard with specialty products. Incidental expenses like department or specialty makeup or salon hair care products can really start to add up once you start paying for things yourself. Switch to less expensive products and avoid specialty brands. On that subject, don’t shop by brand at all. From the clothes on your back to the food on your table, brand names simply cost more. Whenever possible, go for generic or discount brands – your budget will thank you for learning this lesson early. Go cheap on girls’ nights. Don’t go overboard at high-end restaurants and bars that overcharge. Look for ladies’ night specials and split appetizers or share plates to keep the cost down. Once you finish school and start to focus on full-time employment, your financial plans need to evolve in order to set a solid foundation for the future. The more positive steps you take for your finances now, the easier it will be to reach your financial goals in the future. Negotiate your salary! It can be tempting to take the first offer you get as you enter the workforce, but you need to make sure you’re being paid for what the position you’re taking is worth. Check salary ranges and negotiate actively with employers. Create a household budget. Once you get your first job and have a starting salary level, build a more formal household budget. This will help you avoid overspending and prevent you from using credit cards to get by, which can cause problems with debt. Start paying your student loans off now. Options like deferment can delay repayment if you don’t have a job, but once you secure a position make a plan that pays off your student debt as quickly as possible. Even if you’re not struggling to make payments, consider a student loan debt consolidation plan that allows you to pay back what you owe quickly. If you’re having trouble, consider consolidation programs for low income. Set up retirement savings early. The earlier you start saving for retirement, the more money you’ll have and the less you’ll have to push to catch up later in life. By age 30, you want to have at least one retirement account open – either an IRA or 401(k) through your employer. By age 35 you should have one times your annual salary already saved up in that account. Start your emergency fund. Initially, you’ll want to save up at least $1,000 so you can cover unexpected expenses, repairs and medical emergencies without relying on a credit card. Eventually, your fund should grow to equal about 3-6 months of bills and expenses in your budget. Get new credit with caution. By now, you may have or want to have at least 1-2 credit cards. Always keep the number of cards minimized and only open accounts you really need for a specific strategic purpose. Pay off debt quickly. On any account that you open, keep the debt minimized. Ideally you want to pay off everything you borrow in-full each billing cycle. If you make a purchase that will take more than one billing cycle to pay off, make sure to put that purchase on your credit card with the lowest interest rate. Check your credit at least once every year. The more you open new lines of credit and take out loans, you need to check your credit report once each year to ensure it’s error-free. You can get free credit reports every 12 months through annualcreditreport.com. Achieving financial stability on your own is tough enough, but once you bring another person with a different set of philosophies into the mix, it can get even more complicated. Although you may reap the benefits of another income, if you partner has financial issues they can potentially drag you down, too, if you’re not careful. Don’t wait to have the money talk. As soon as you start to get serious, you should start talking about key money issues. Amounts of debt, credit history, banking philosophy and budget strategies should all be discussed to make sure you’re on the same page. Designate financial responsibilities. Decide who is paying what – particularly if you’re not opting for joint accounts. Make sure all the bills are covered and non-billable expenses like groceries are divided up strategically. Make sure you’re both saving. It’s likely to cause problems is one of you is going out of your way to save while the other is having fun spending. Make sure both of you are on board with your saving strategy. Check your credit before you tie the knot. Although you both will maintain your own credit profiles even after you get married, it’s important to know where your credit scores are. One half having bad credit shouldn’t be a deal breaker, but it will affect your ability to get financing as a couple in the future. So help your partner build better credit. Define your long-term financial goals together. Talk about when you want to buy your first house, how soon you want to have kids, and what you want to do during retirement. Once you know how these big goals will play out, you can start planning ahead. 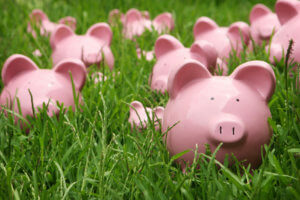 Kids are great, but they also certainly present a big challenge to your financial stability. You add significant financial burden to your budget with pre and post-natal care, a constant stream of clothes they outgrow, back to school shopping (the second most expensive shopping season of the year, after the winter holidays), extracurricular activities, family vacations, and a continual stream of “Buy me…” requests. Don’t wait to start saving. Ideally you want to have a healthy level of savings before you decide to have kids. If you want children, start saving now – even if you aren’t to the point of having them yet. And don’t stop saving, since a baby could become twins or triplets which would double or triple your cost. Take advantage of startup programs. Start saving as early as possible for your children’s college tuition with something like a 529 college savings plan. You may also want to consider pay-ahead tuition and insurance programs, like the Gerber Grow Up Plan. Have the right insurance. Make sure that the medical, dental and vision costs for your children will be covered. A trip to the ER that isn’t covered properly by your insurance could easily end up in collections and cost you your good credit. Also, consider life insurance for yourself and your partner in case something happens to one or both of you. Teach the right financial lessons early. It’s never too early to start teaching your kids the value of a dollar. Make sure to teach your kids about budgeting. Also, take steps to show them how credit works and why savings is essential so they start learning these valuable lessons early. Don’t hide your situation when money is tight. Parents often try to shield children from any negativity, but you could be hurting your budget and your kids’ financial learning by hiding problems. 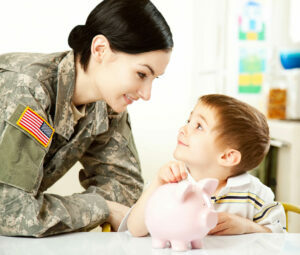 Be honest and use the opportunity to teach them about overcoming financial challenges together as a family. Not including college education, it costs an estimated $245,340 to raise one child to the age of 18 in the United States. Making your retirement dreams into reality is tough regardless of your gender. However, women often face a tougher battle to achieve their retirement goals. Then tend to have less in retirement account and weaker investment portfolios. Don’t rely on Social Security as your sole income. No one is certain what will happen to Social Security in the coming years. Benefits could be the same when you retire or they could be less. A robust retirement strategy will help you achieve your goals without significant dependence on these benefits. Take advantage of your company 401(k). Don’t wait to start using 401(k) retirement plan as soon as they’re offered. A little money out of each paycheck as early as possible will go a long way when you’re ready to retire. Supplement your 401(k) with an IRA. Diversify your retirement accounts by opening a private IRA or Roth IRA. Always contribute to your 401(k) first if your company offers some kind of dollar-for-dollar match program up to a certain point, but then put extra retirement contributions into your own account. Consider long-term investments. If you get or collect lump sums of cash during your life, consider putting them into stable long-term investments, such as CDs or bonds. Even an MMA account will offer better growth than your regular savings account. Putting this money into special investments also helps you avoid spending it. Pay off your mortgage before you retire. The last thing you need on a fixed income after retirement is the big expense of a mortgage. A paid-off home means one less bill to worry about. It also gives you some security that no matter what happens in your financial situation, you should be able to keep your home. Don’t take on debt to help family. Parents and grandparents often put their own financial stability at risk during retirement to help family. You’re on a fixed income and taking on high-interest credit card debt to help someone out puts you at risk. Don’t be afraid of reverse mortgages. If you’ve owned your home for a long time and you almost or already have the mortgage paid off, reverse mortgages are a safe way for homeowners age 62 and over to access valuable equity without monthly payments. 54% of women plan to retire after age 65 or not at all; almost half (49%) plan to work at least part-time. Not every woman will go through divorce during her lifetime, but even separation after a serious relationship can present challenges for your finances. When your life path takes a detour, you have to take steps to get yourself back on the right financial path as you move forward on your own. Have a detailed list of accounts and assets you share. Make sure you know what you both have so you can ensure it is divided up appropriately. Being informed can help you avoid getting shortchanged. Divide assets and close out joint accounts as quickly as possible. A divorce proceeding will do this for you, but if you’re ending a long-term relationship without divorce then sometimes joint accounts and jointly held credit cards linger. You don’t want your ex’s bad credit habits driving down your credit score. Close the accounts and pay off any debt quickly. Don’t just assume your ex will be responsible with payments. Check your credit reports once accounts are closed. Take advantage of the free credit report you can obtain once per year to make sure that all joint accounts have been closed and you aren’t tied to your ex in any way credit-wise. You can download your free credit reports through annualcreditreport.com. Develop a new household budget. Both your income and expenses will change during separation, so you need to take accurate stock of your situation. Take time to create a new budget for your household so you know where you stand. It can also help you determine the target income you need to aim for to regain financial stability. Don’t hesitate to ask for support – especially for kids. Sometimes we let pride get in the way of good financial sense. Don’t avoid asking the courts to order support, particularly if it’s child support. Your kids deserve to grow up with every advantage possible even if pride tells you not to take money from your ex. Consider assistance programs – particularly if you feel like you’re in danger. Many charity organizations exist that are designed to help women get a fresh start. If you are in an abusive or dangerous situation, look into assistance programs that can help you get out and get set up on your own. Women face an average 37% drop in household income after a divorce and the percentage of women in poverty doubles following separation.